On the first morning of your sickness absence, you must contact NIGHT WATCH SECURITY SERVICES LTD and speak to your line manager at the earliest possible opportunity and as close to your normal start time as possible. In any event, this must be no later than two hours after your normal start time. If you are unable to speak to your line manager personally, you should speak to (names). You should give details of the nature of your illness. If the illness is of a minor nature, you should indicate when you believe you will be fit to return to work. You must inform your line manager as soon as possible of any change in the date of your anticipated return to work. Contacting your line manager by text message or e-mail is not acceptable, other than in exceptional circumstances. If you have been diagnosed as having contracted an infectious or contagious disease, such as measles or chicken pox, or a pandemic virus, you must inform your line manager as soon as possible after your diagnosis. For an absence of seven consecutive calendar days or less, you are required to telephone your line manager on a daily basis in accordance with the reporting procedure set out above. However, NIGHT WATCH SECURITY SERVICES LTD may relax this requirement in exceptional circumstances, for example, in the case of a pandemic virus affecting a large percentage of NIGHT WATCH SECURITY SERVICES LTD’s employees. You must also complete a self-certification form immediately on your return to work. Self-certification forms are available from (name). On completion, the form should be forwarded to (name). You are reminded that it is a serious disciplinary offence to knowingly provide false information on a self-certification form. Should your sickness absence be for a period in excess of seven calendar days, you are required as an absolute minimum to contact your line manager on a weekly basis in order to provide an update on your illness or injury. A doctor’s certificate (known as a statement of fitness for work) must also be obtained. A new doctor’s certificate must be submitted to cover each continual week of sickness absence. The doctor’s certificate must be forwarded to (name) as quickly as possible and, in any event, no later than the end of the calendar week in respect of which the certificate applies. Each subsequent doctor’s certificate must be forwarded in the same manner. You should have certificates (either self-certification forms or doctor’s certificates) to cover the entire period of your sickness absence. NIGHT WATCH SECURITY SERVICES LTD reserves the right to request a doctor’s certificate for any period of sickness absence even though this may be less than eight calendar days. If you incur costs in relation to obtaining a doctor’s certificate, NIGHT WATCH SECURITY SERVICES LTD will reimburse those costs upon production of a receipt. Where a doctor’s certificate indicates that you may be fit for work and the doctor has suggested ways of helping you get back to work, such as a phased return to work, altered hours, amended duties or workplace adaptations, your line manager will discuss the advice on the doctor’s certificate with you and will consider any functional comments made by the doctor, any of the return to work tick boxes and any other action that could help you return to work despite your illness. The various options will be discussed with you and if a return to work is possible, your line manager will agree with you a return to work date, any temporary adaptations or adjustments that are to be made and for how long and will set a date for review. If you disagree with NIGHT WATCH SECURITY SERVICES LTD ’s proposals to support you to return to work, you will be asked to confirm why you believe you cannot return to work despite your doctor’s suggestions and NIGHT WATCH SECURITY SERVICES LTD reserves the right to obtain further medical evidence as necessary, such as a medical report.  If NIGHT WATCH SECURITY SERVICES LTD is not able to make any adaptations or adjustments to help you return to work, your line manager will explain the reasons for this to you and will set a date for review. You may then use the doctor’s certificate as if the doctor had advised ‘not fit for work’. For long-term absence, your line manager may request to visit you at home. For all periods of sickness absence, your line manager may require you to attend a ‘back to work’ interview on your return to work to discuss the reason for your absence and whether it was work-related. In particular, back to work interviews may be conducted by line managers each time an employee returns to work following a period of short-term sickness absence of up to one working week. At the interview, you will be advised that your absence record is monitored and recorded in order for NIGHT WATCH SECURITY SERVICES LTD to manage performance, to identify any problem areas and to offer support where appropriate, you will be asked to explain the reasons for your absence and whether you consulted a doctor or attended hospital and you will be requested to complete a self-certification form for the period of your absence. In the case of frequent or repeated absences, your line manager will discuss whether there are any underlying reasons for the regular absences (and, in particular, whether they are in any way work-related) and will explore with you whether there is any apparent pattern of absence. You may also be set reasonable targets and time limits for improvement in your attendance and warned that a failure to improve may result in disciplinary action. For long-term sickness absence or frequent periods of sickness absence, NIGHT WATCH SECURITY SERVICES LTD may request further information from your GP or consultant or alternatively request that you visit a doctor selected by NIGHT WATCH SECURITY SERVICES LTD to undergo a medical examination and you also agree to authorise the medical practitioner responsible for the medical examination to prepare a medical report detailing the results of the examination. The cost of any such examination will be met by NIGHT WATCH SECURITY SERVICES LTD and you are required to co-operate in the disclosure of all results and reports to NIGHT WATCH SECURITY SERVICES LTD. NIGHT WATCH SECURITY SERVICES LTD will only request such an examination where reasonable to do so. NIGHT WATCH SECURITY SERVICES LTD reserves the right to withhold sick pay in circumstances where the certification procedure described above has not been followed or it has reason to doubt the validity of the sickness absence claim and may request you to undertake a medical examination by a doctor selected by it. On being fit to return to work, you must contact your line manager and let them know as far in advance as possible of the proposed date of your return. If you have been suffering from an infectious or contagious disease, or a pandemic virus, you must not report for work until you are medically fit to do so. This is to prevent spread of the disease in the workplace. Persistent short-term sickness absence is, in the absence of any underlying medical condition or other reasonable excuse, a disciplinary matter and will be dealt with in accordance with NIGHT WATCH SECURITY SERVICES LTD’s disciplinary procedure. If it is subsequently discovered that your sickness absence was not genuine, this will also be treated as a disciplinary matter.